The Laughing Elephant's large library of books and ephemera has several foci, one of the principal ones being childhood and its joys. 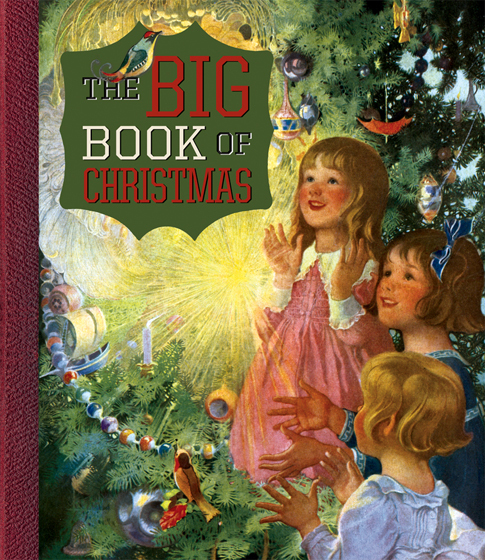 This book presents more than a hundred wonderful images celebrating the various aspects of Christmas. Themes includes: Santa's workshop, Letters to Santa, gift shopping and wrapping, decorating the house and tree, Christmas Eve, carol singing, the nativity and animals at Christmas. Though principally visual, The Big Book of Christmas includes poems and quotations celebrating the Yuletide including The Night Before Christmas, The Twelve Days of Christmas and some less well known, but no less wonderful Christmas verse. We believe that Christmas, like other celebrations and holidays, is in one sense a complex set of feelings built on our memories and a shared cultural heritage. Few of us in the 21st century United States have seen a flaming Christmas pudding or Yule log in real life, and yet these, and a myriad of other things, are real from what have read and heard of. In The Big Book of Christmas we attempt to bring to vivid life through a montage of vintage images and appropriate words the most treasured ideals of Christmases past.